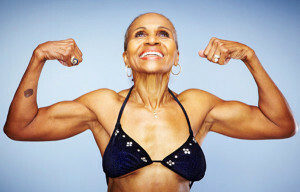 We have our monthly Health and Wellness conversation with fitness trainer and activist Chauncey Whitehead and Ernestine Shepherd, fitness trainer and the world’s oldest female competitive body builder. Chauncey and Ernestine will be celebrating the one-year anniversary of their monthly community walk! Angela Ginn, National Spokesperson for The Academy of Nutrition and Dietetics, and Rhonda Silva, Division Administrator of the Baltimore City Cancer Program at the University of Maryland’s Marlene and Stewart Greenebaum Cancer Center, also join us.